If you want to learn more about dry farming, Stuart explains the advantages it provides in terms of better grapes, a more natural ripening process, and social responsibility in this video. 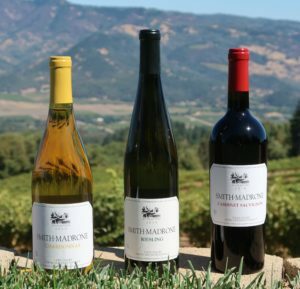 Generally speaking, Smith-Madrone Vineyards and Winery wines are made in a style which embraces the intensely flavored mountain fruit of Spring Mountain, but with a strong nod to the old-world style of winemaking. The wines are elegant and complex, with nice acidity and balance. Smith-Madrone wines let the unique expression of each varietal’s characteristics shine through, all within a more restrained structure than many Napa Valley wines. Smith-Madrone wines are definitely designed to age well. In particular, if you are a fan of aged Rieslings, you will be richly rewarded if you lay down some Smith-Madrone Rieslings. 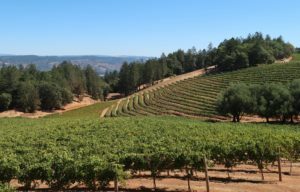 Smith-Madrone produces Cabernet Sauvignon, Chardonnay and Riesling wines. In 2007, the winery introduced its first reserve wine, Cook’s Flat, a proprietary Bordeaux blend. The Chardonnay here is a deftly crafted wine which has a creamy core supported by crisp acidity, reminiscent of white burgundy. 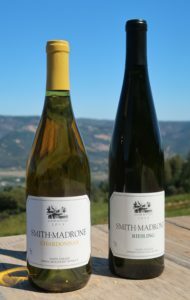 Smith-Madrone produces a delicious Riesling capable of long-term cellaring and depending on the vintage it can be lush, deep and round or racy and minerally with citrus elements. In fact, one of the winery’s earliest honors was when its 1977 Riesling won the category of Riesling in the 1979 Wine Olympics in Paris, competing with Rieslings from Germany, Alsace and other international growing regions. Personally, the Smith-Madrone Riesling always makes us wish more wineries in Napa Valley still produced Riesling. 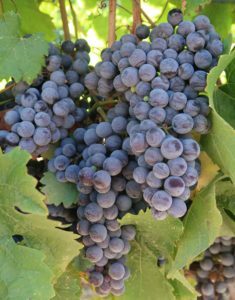 The Smith-Madrone Cabernet Sauvignon usually shows dark, luscious fruits with a velvety, silky texture and a long finish. Cook’s Flat Reserve is made only when warranted by a vintage of superior quality and is a limited-production wine (only 194 cases were produced for the 2013 vintage). The Cook’s Flat tends to be a full-bodied wine with layers of dark, rich fruit flavors, bright acidity and savory notes. For the 2013 bottling, the Cook’s Flat Reserve is a blend of 46% Cabernet Franc, 33% Cabernet Sauvignon and 21% Merlot. Each bottle of Cook’s Flat Reserve is numbered and wrapped in tissue printed with a copy of the U.S. Land Office Patent granting ownership of the land to George Cook, the first owner of the ranch which ultimately became Smith-Madrone Vineyards and Winery. 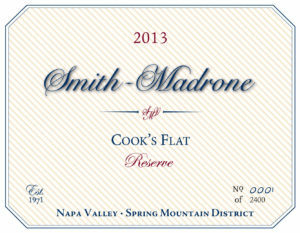 We have been fans of Smith-Madrone for many years and enjoy the entire portfolio of wines. We encourage you to try them all and then purchase and lay a few bottles down to experience the wonderful nuances that a little cellar time will produce. Smith-Madrone Vineyards and Winery is high up on Spring Mountain, with visits and tastings by appointment only. All Tours and Tastings are hosted by a member of the Smith family, usually Stuart or Charles or Sam (the Assistant Winemaker), and are available at 11 am or 2 pm on Mondays, Wednesdays, Fridays and Saturdays. The environment is casual, intimate and friendly. You’ll learn about the history of the winery and the property while surrounded by the natural beauty of the ranch and the rustic charm of the barrel room. 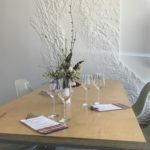 The cost for the tasting experience is $25 per person (fee waived with a wine purchase). 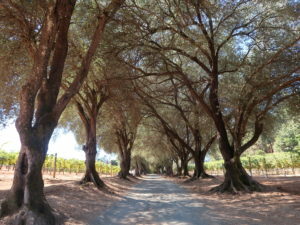 Smith-Madrone Vineyards and Winery is located at 4022 Spring Mountain Road in St. Helena. The winery is about 30 minutes up Spring Mountain from St. Helena’s Main Street (but please allow extra time to travel up the mountain roads). You can contact the winery at (707) 963-2283 or via email at info@smithmadrone.com. If you plan to visit Smith-Madrone Vineyards and Winery, you can also see our recommendations for other wineries and restaurants in the area such as Pride Mountain Vineyards, Paloma Vineyard and Stony Hill Vineyard up on Spring Mountain. On the valley floor, nearby restaurants include Brasswood Bar + Kitchen, Clif Family Bruschetteria Food Truck, Cook St. Helena, Acacia House and Farmstead. Or, you can follow the drop-down menus above to see our Favorites by Wine Region for suggestions elsewhere in the Napa Valley, or other wine country travel destinations. We, the Two Guys From Napa, highly recommend that you plan a visit to Smith-Madrone Vineyards and Winery to enjoy another wonderful tasting experience in the Napa Valley. Cheers!